Hi Mal, you recently preached at our Sunday service at Rhema Bible Church in Joburg, South Africa. You preached God's word with such simplicity and I left church feeling really inspired. It's been a blessing going through the articles on this site. Mal, your message is revolutionary - the prophetic voice our nation and world needs. Your insight into how things are, have been and will be never cease to amaze me and move me to a higher level. Thankyou for inspiring me to grow. You rock! 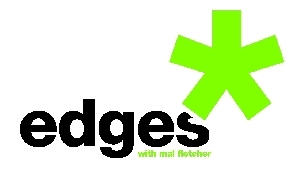 Mal, love EDGES and loved hearing you speak at Hillsong London, it was awesome.